AT1W Off Road Electric Skateboard is an electric skateboard specially designed for off-road use, mainly for rough terrain and ordinary roads. The main features are hub motor, two-wheel drive, higher chassis, better grip tires, larger horsepower and a more solid eight-story deck. The AT1W SUV E-board can adapt to a variety of road conditions in the wild, and gives a rough and heroic feeling. In the city, many people like off-road electric skateboards. 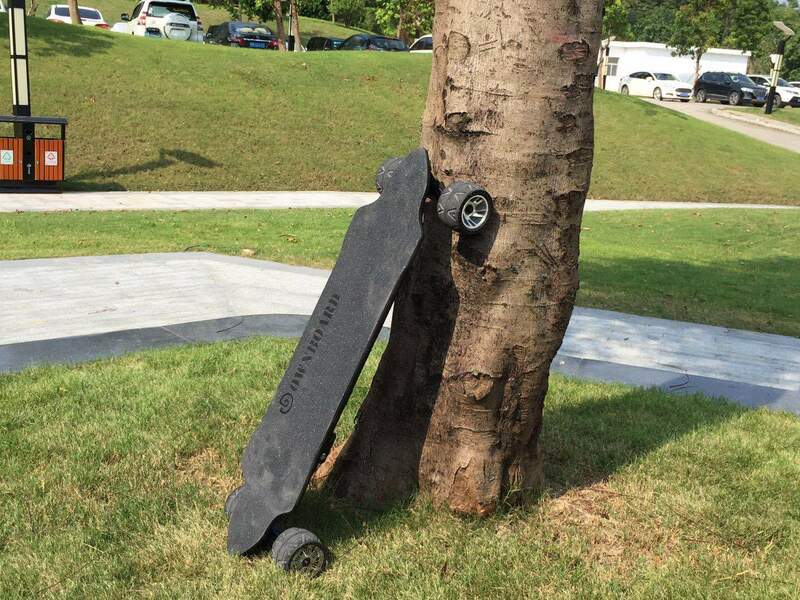 OWNBOARD AT1W SUV Electric Skateboard has a certain off-road driving ability. In other words, the AT1W can travel on poor quality roads or in areas where there is no road at all. 2.Unlike many traditional PU tires used on skateboards, This special rubber tire has improved friction. Especially if it doesn’t slip when it meets water. 4.It is can absorbs vibration during riding. The deck is an important part of the electric skateboard, which is why we have worked hard on the deck of the AT1W. It has a specially designed curved shape (W-type) that is more suitable for your feet and provides extra support for your feet as you ride, making it easier to control the skateboard.